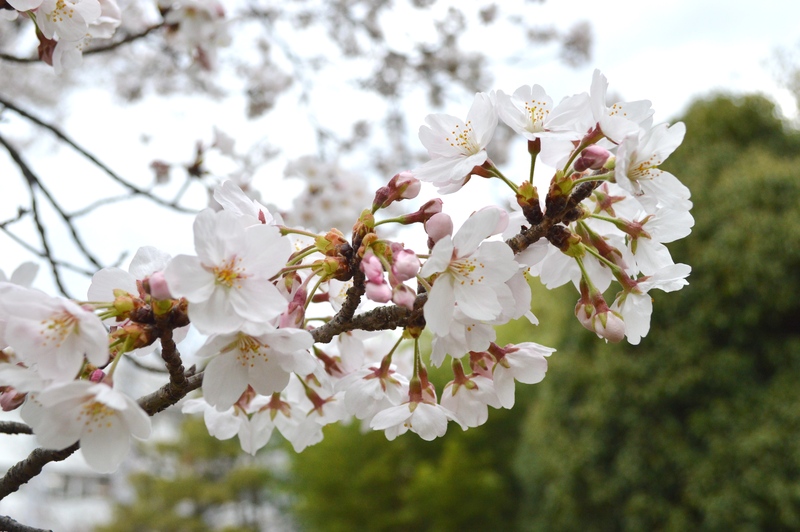 Now it’s the perfect season for cheery-blossom. 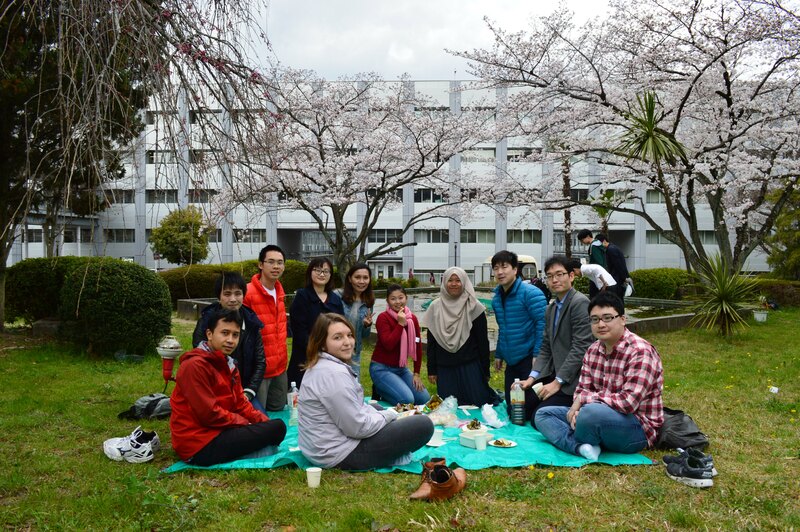 We had a great lunch party under the beautiful Sakura trees in front of Uji campus. 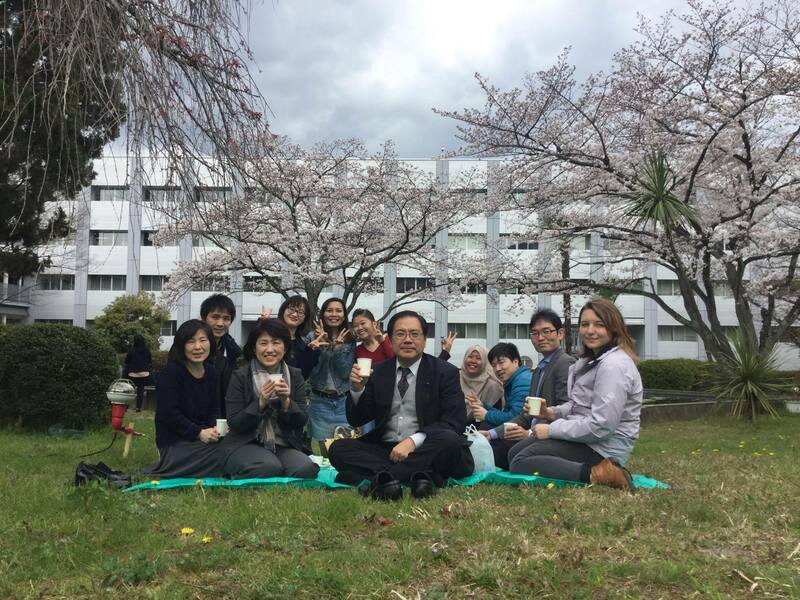 Takara sensei, Sayama sensei, Inoue san, Saidera san and students kindly joined the party. 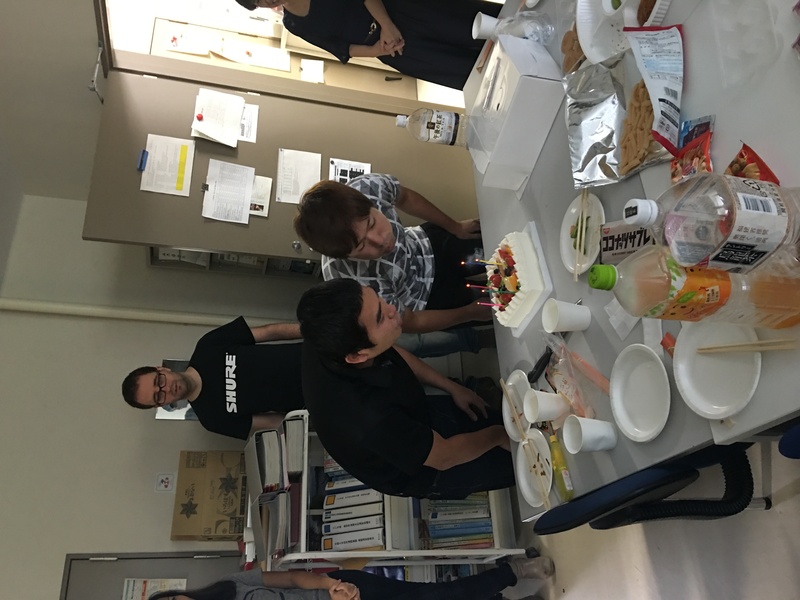 on March 25, 2017. 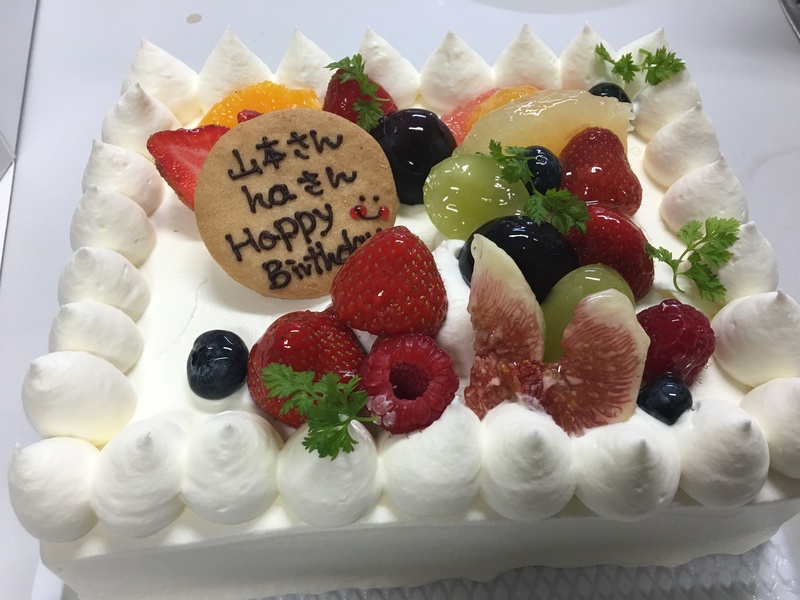 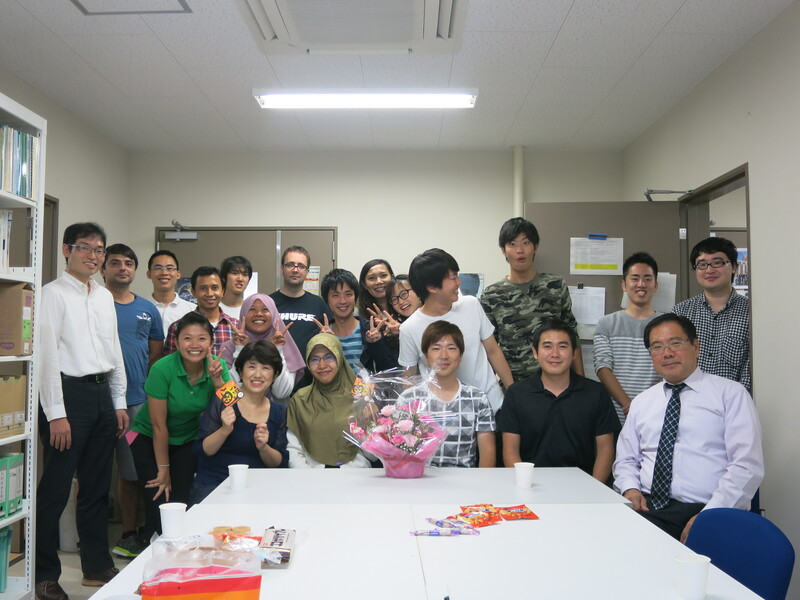 About 60 people from 15 different countries were celebrated Takara sensei’s 60 years birthday (Kanreki) for him. 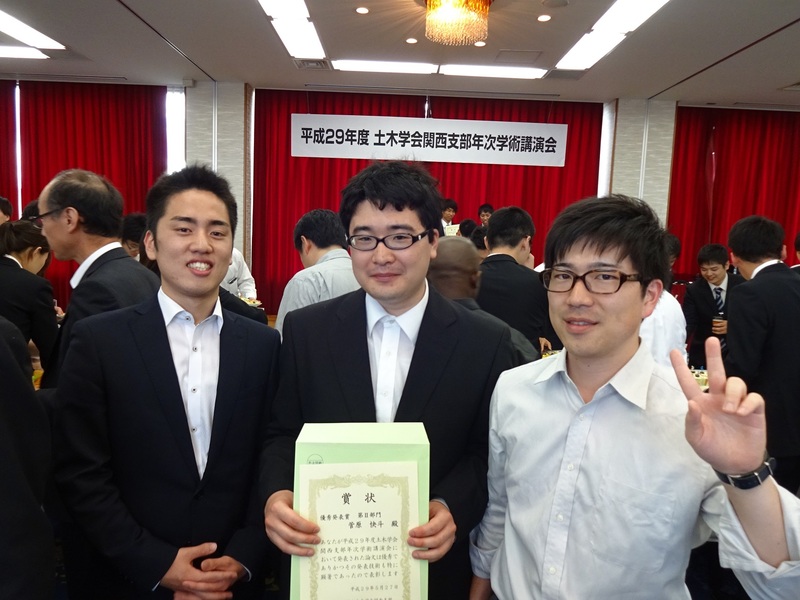 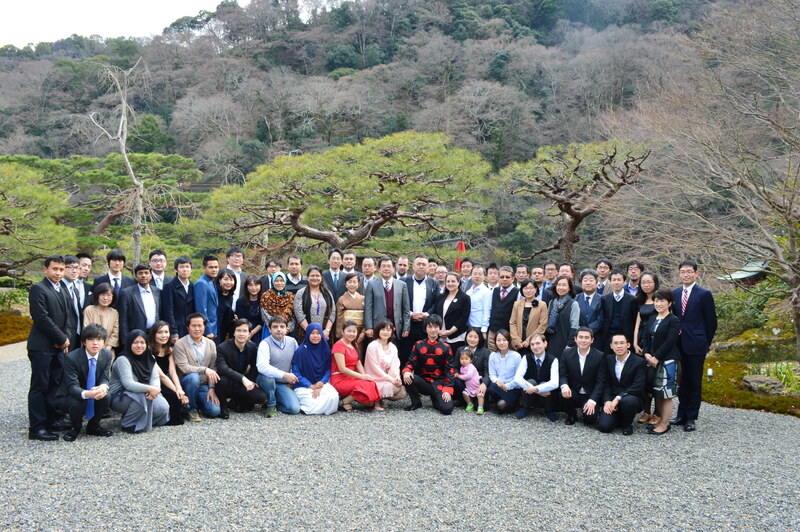 Most of the participants are the graduated students from Takara lab. 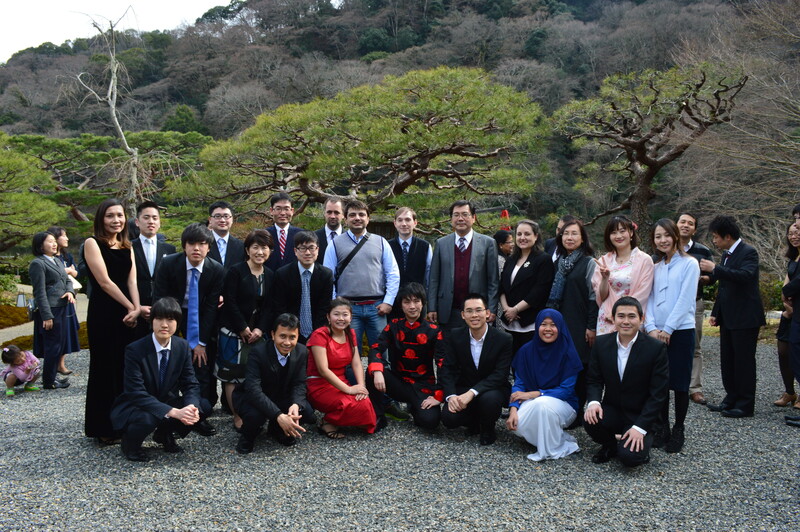 Takara family members are located all around the world. 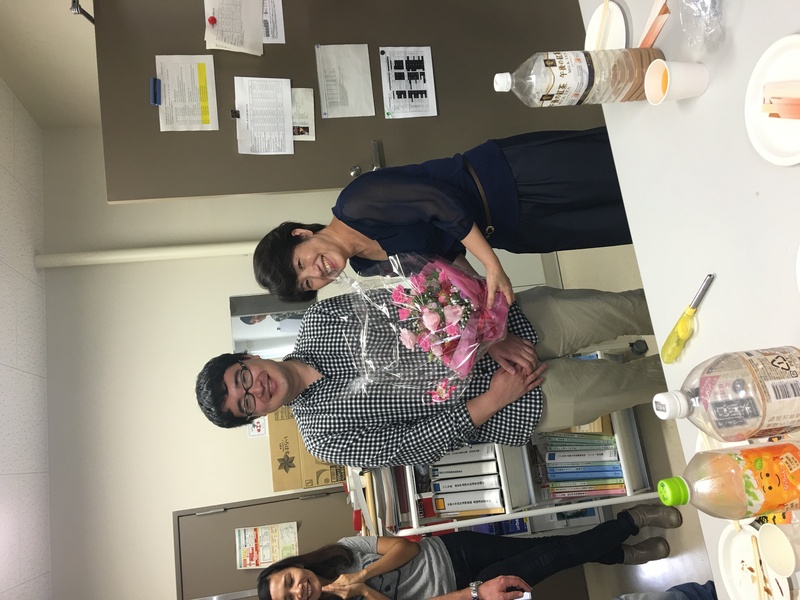 Congratulations, Takara sensei, we hope you boundless happiness and a longlong life. 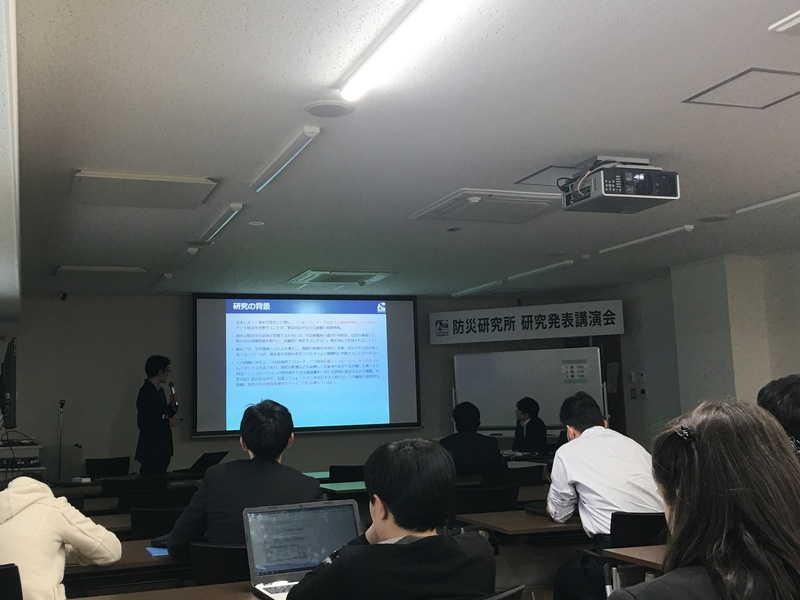 DPRI annual meeting has been held on February 21 and 22, 2017. 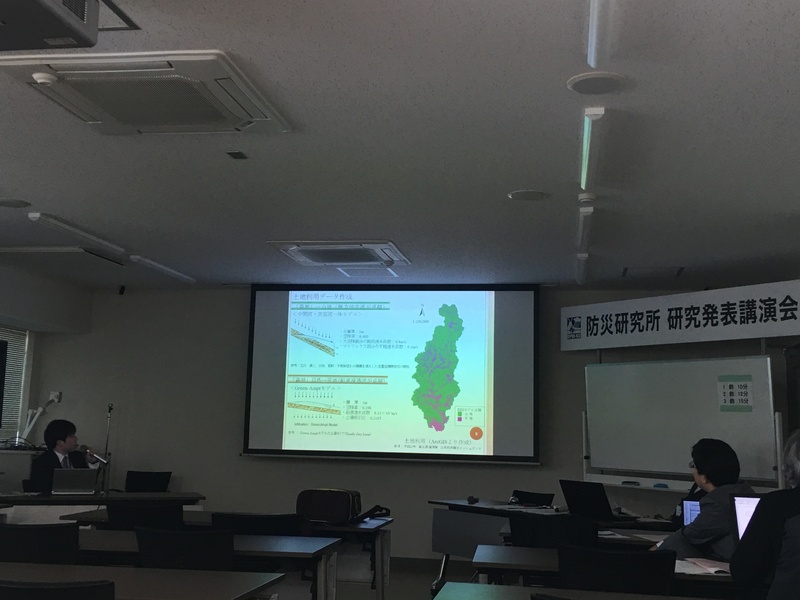 Sayama-sensei made an oral presentation on the topic of “リアルタイム浸水ハザードマッピング実現に向けた現地浸水情報の同化技術”. 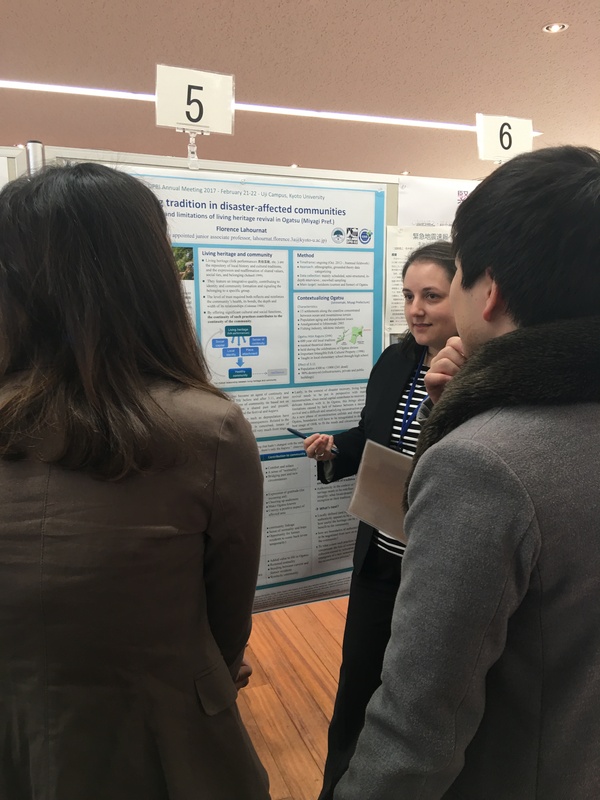 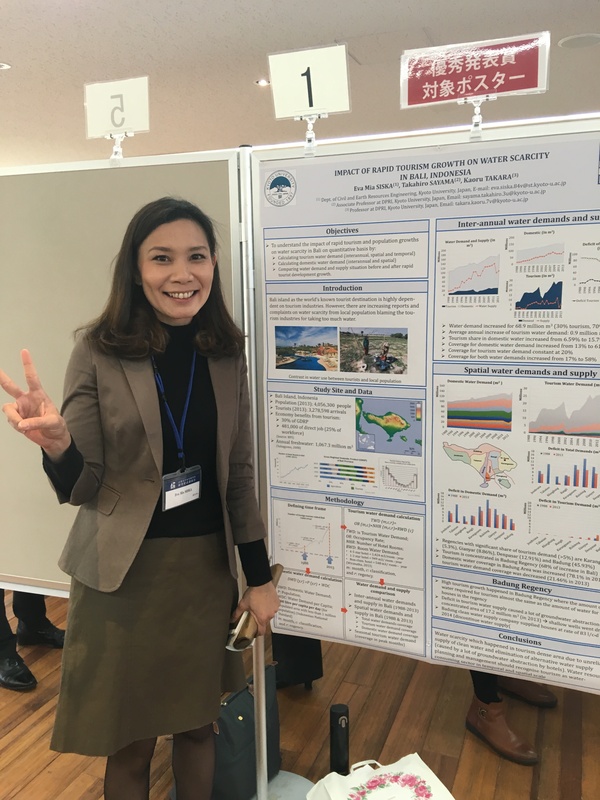 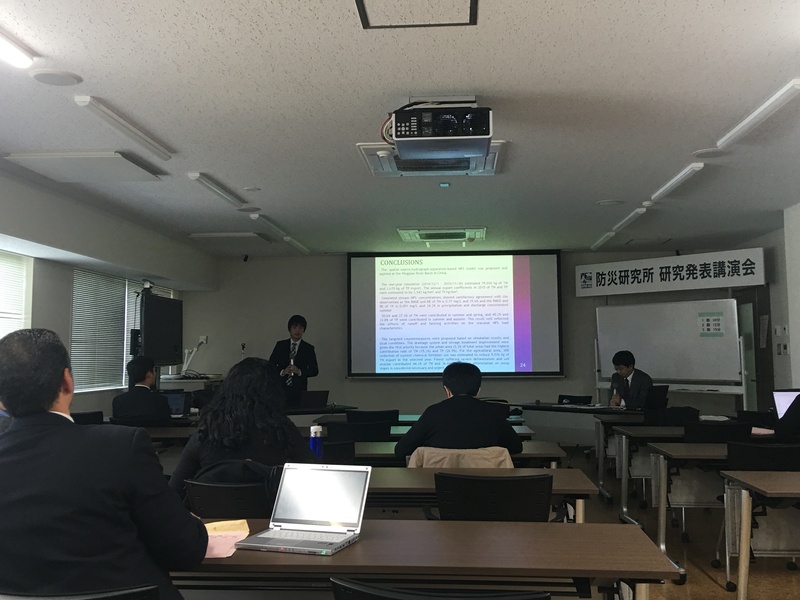 Florence-sensei made a poster presentation on the topic of”Reviving Intangible Cultural Heritage in Disaster Affected Communities* Benefits and Limitations-Case Study of Ogatsu”. 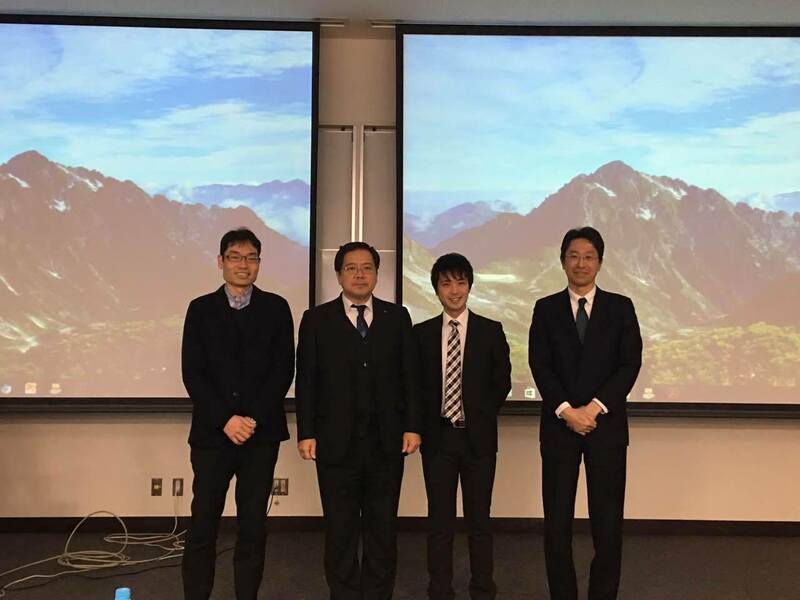 The defense of Dr. Xue and Dr. Setiawan have been successfully held on January 23, 2017. 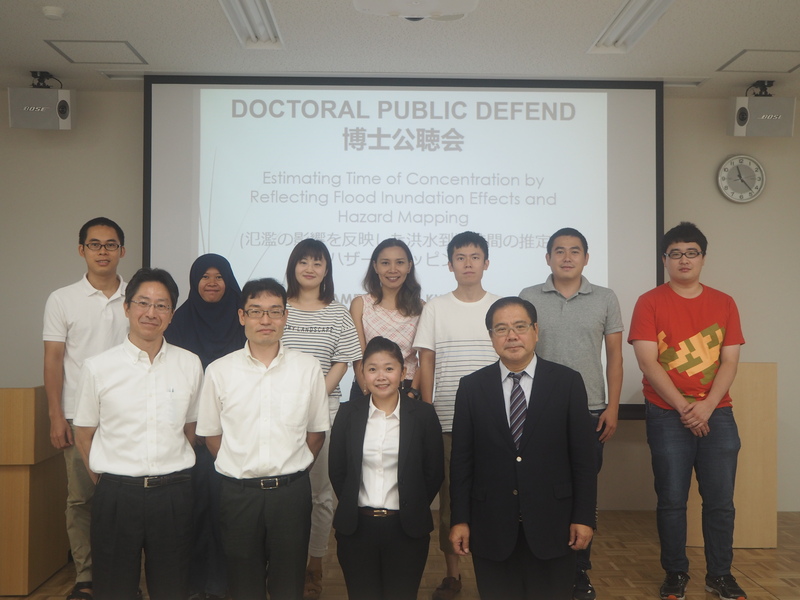 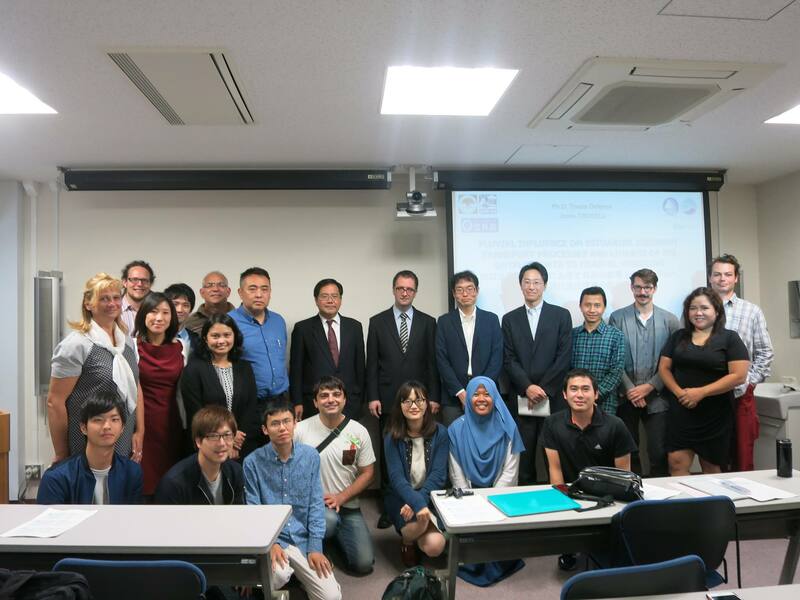 Takara-sensei, Tachikawa-sensei, Sumi-sensei, Sassa-sensei, Sayama-sensei, and students from Takara lab have attended this defense. 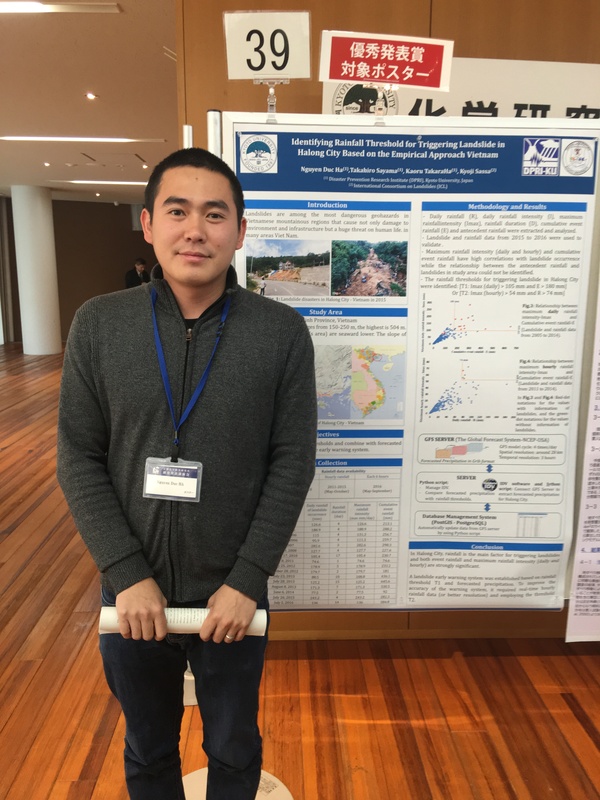 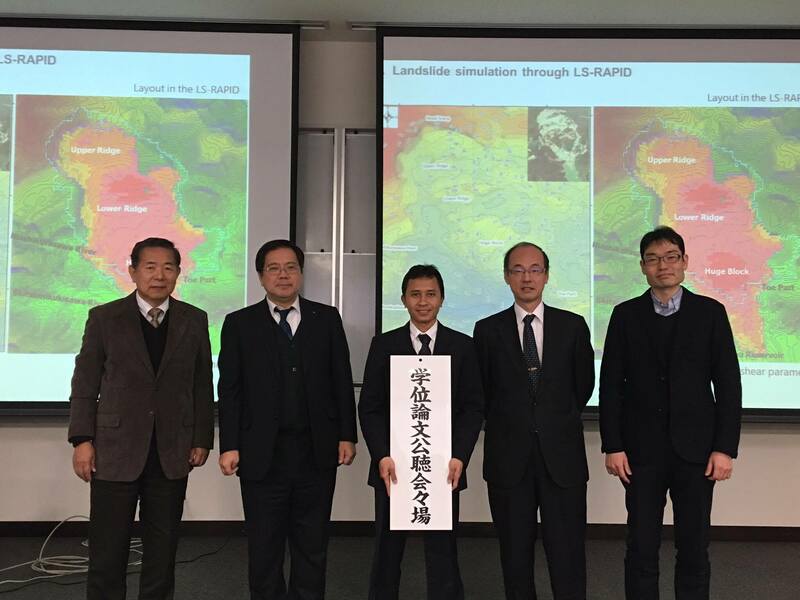 Dr. Xue’s defense title is “Hydrograph-Separation-based Non-pointSource Pollution Modelling in the Pingqiao River basin, China”. 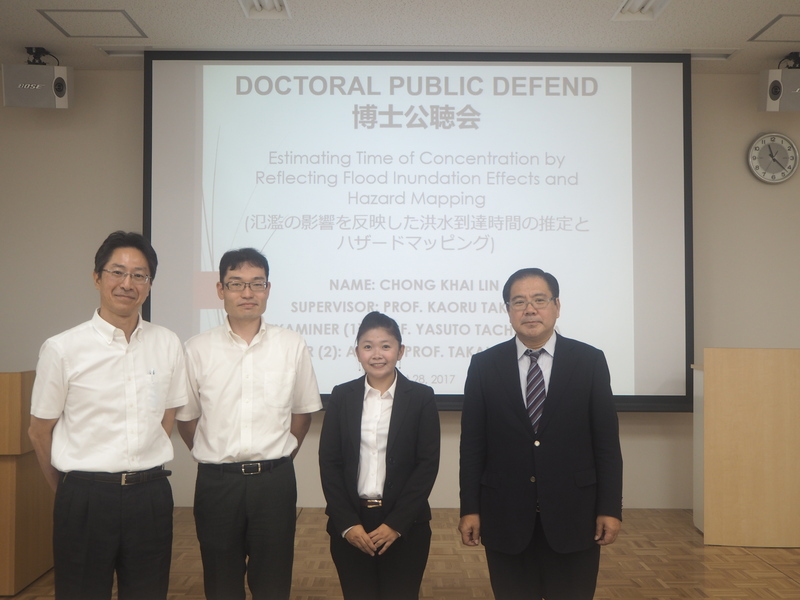 Dr. Setiawan’s defense title is “Landslide Hazard Assessment on the Upstream of Dam Reservoir”. 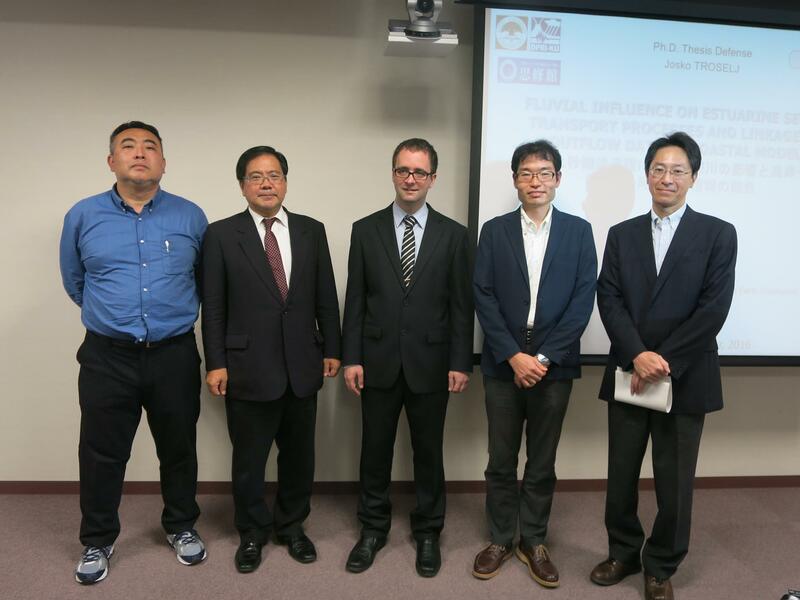 Congratulations to Dr.Xue and Dr. Setiawan. 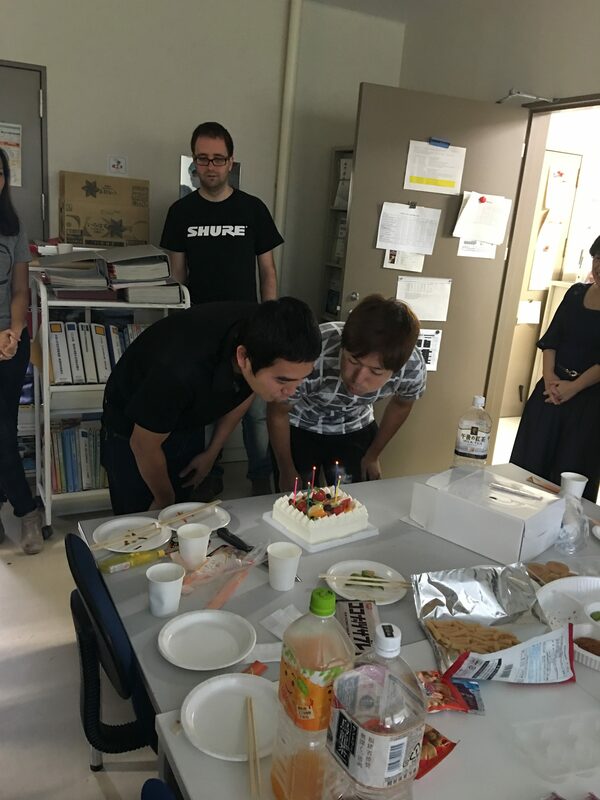 We wish both of you have wonderful future! 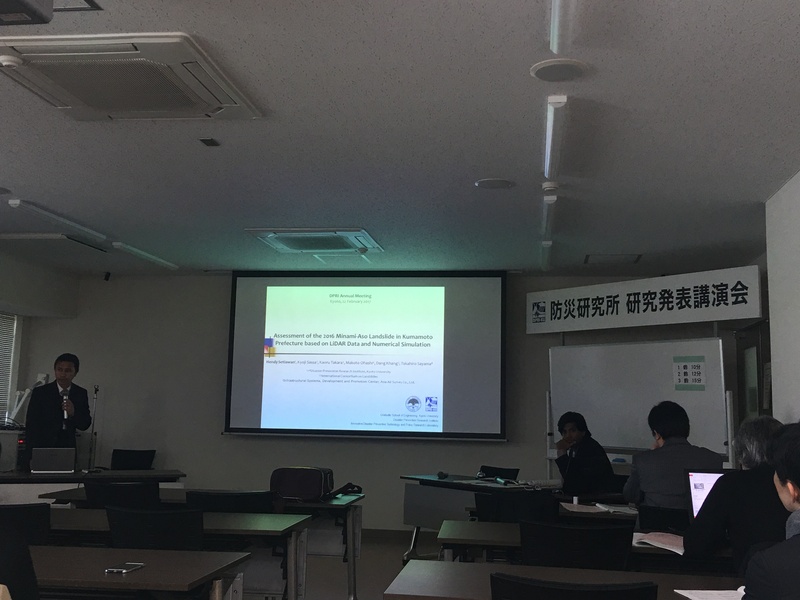 Dr. Josko’s topic is “FLUVIAL INFLUENCE ON ESTUARINE SEDIMENT TRANSPORT PROCESSES AND LINKAGE OF ITS OUTFLOW DATA TO COASTAL MODELING” and achived his doctoral degree. 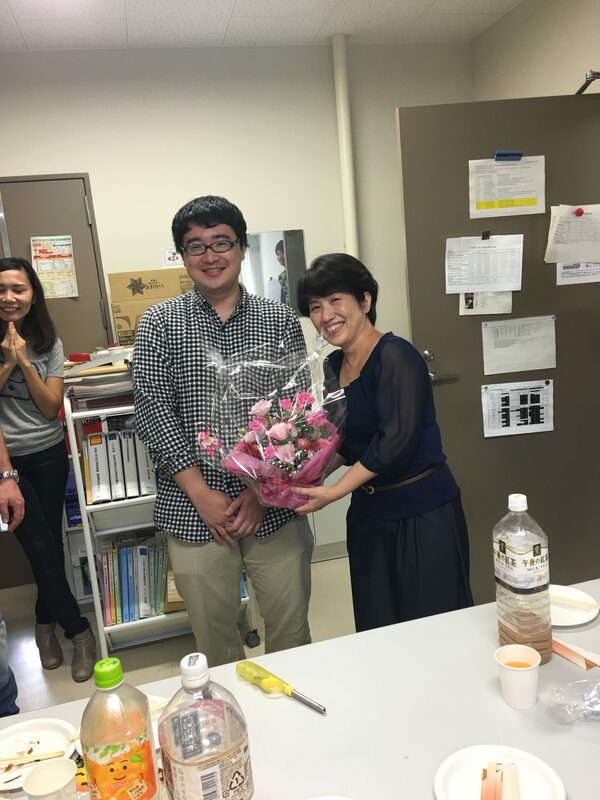 We wish you success in your future career and all the best! 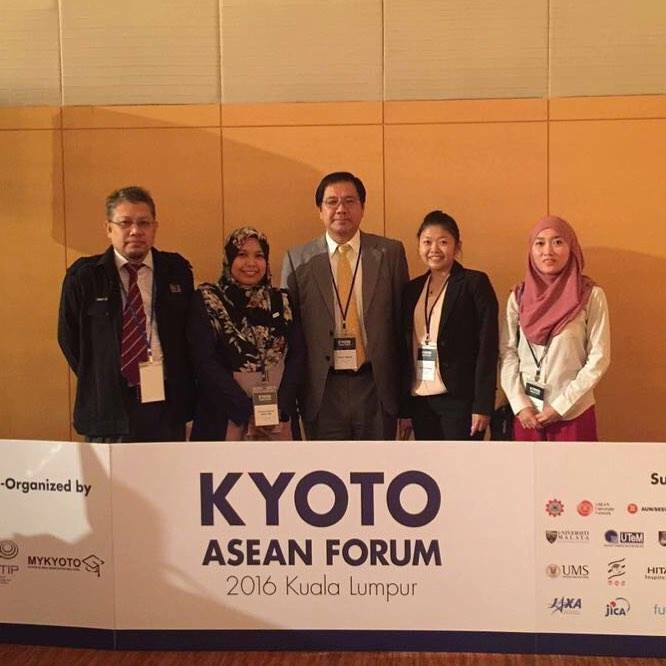 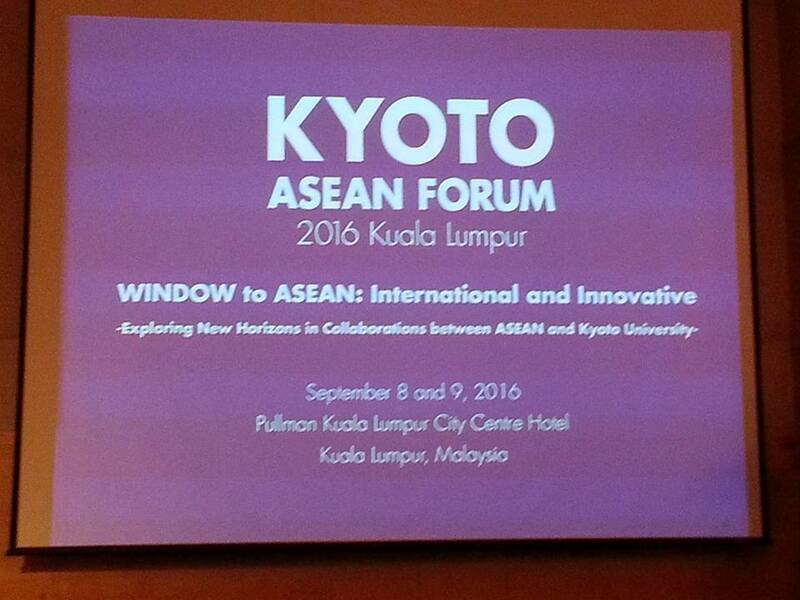 Takara sensei and Ms. Khai Lin attended Kyoto – ASEAN Forum 2016 on the theme of “WINDOW TO ASEAN: INTERNATIONAL AND INNOVATIVE” – EXPLORING NEW HORIZONS IN COLLABORATIONS BETWEEN ASEAN AND KYOTO UNIVERSITY – which held in Pullman Kuala Lumpur City Centre on 8th – 9th September 2016. 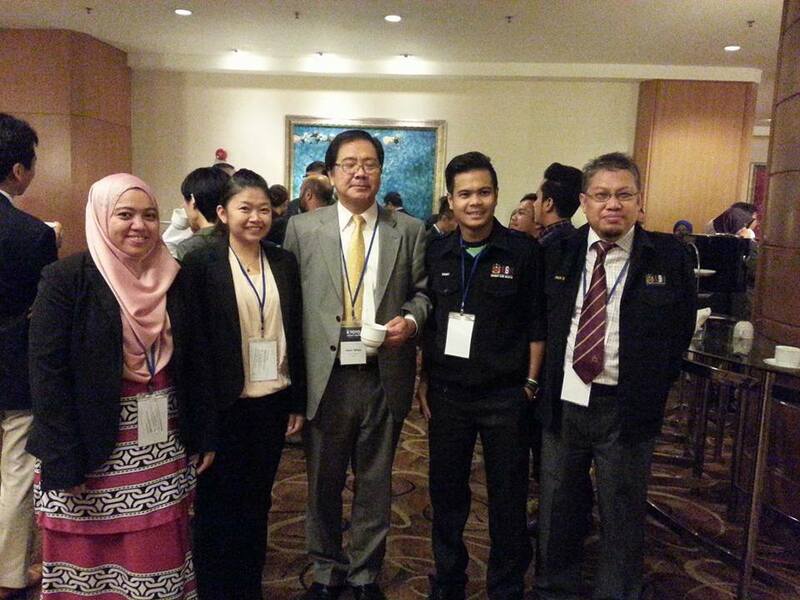 This forum was a great success, over 250 participants attended the forum. 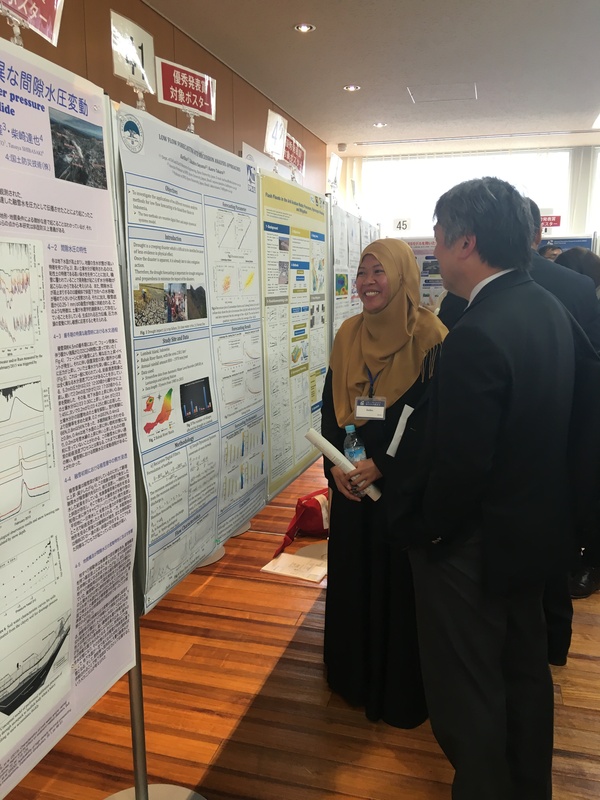 This forum brings together researchers, young researchers and young students which the aim to improve capabilities on their research, through the sharing of knowledge, experience, and wisdom. 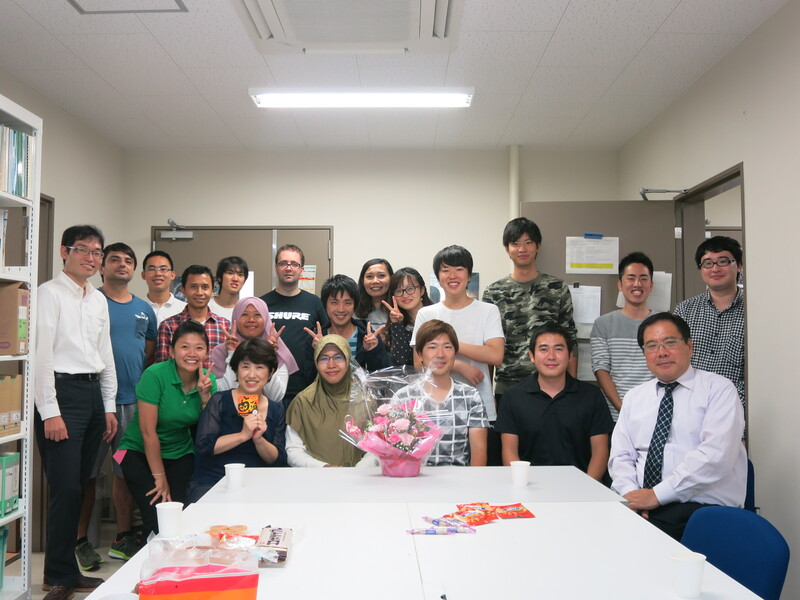 It was an opportunity for Takara sensei to meet up his former students and colleagues in Malaysia.